Agility, Obedience, Rally and More! 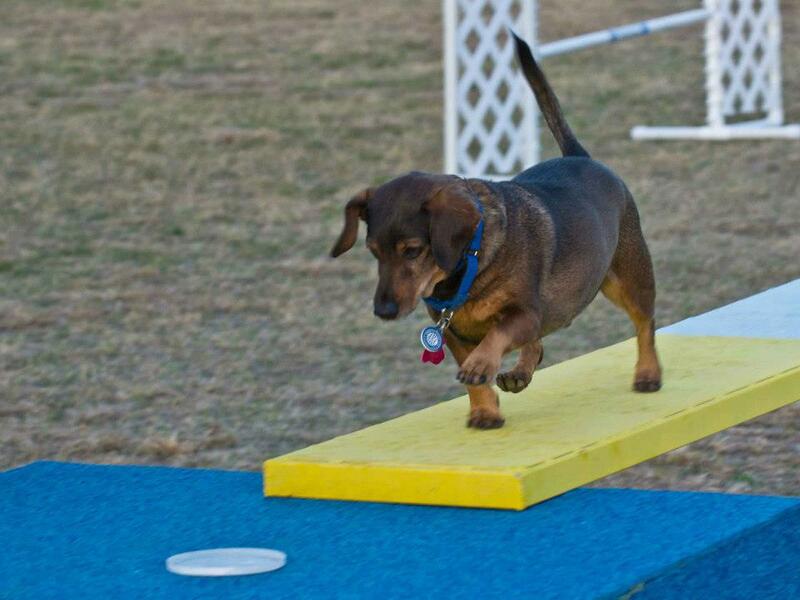 FAQ: What is Dog Agility? FAQ: What is Rally Obedience? Home » Uncategorized » Want Success? Practice! Many of us have always heard that practice makes perfect. This is true with dog training as well! Whether you are preparing for competition or teaching your dog not to jump on guests, you must work with your dog on the skills that you want him to learn if you want to train them successfully. Practicing with your dog doesn’t need to be a big production. Sessions can be very short – 1 or 2 minutes long – and can happen throughout the day. Remember that your dog is learning 24/7/365, so look for opportunities to teach your dog as you go about your daily routine. If you want to work on your recall, call your dog periodically throughout the day and surprise him with a treat. Your dog will start running to you happily every time you call him since he knows that something great is coming to him when you call him. You can carry treats around with you in a pocket for those “surprise” sessions. I have students that leave bowls of treats throughout the house and call their dog to them when they pass one. These dogs pick up recalls quickly and they both have a lot of fun doing it! Pay attention to what you and your dog are doing all day. Always be sure that you aren’t counteracting what you want your dog to learn when not formally training. Consistency is important! If you want your dog to sit at the door before he goes outside, then you must be always do that every time he goes out. You can’t train him to sit at the back door during a formal training session and then 20 minutes later let him outside without sitting first and expect him to understand what you want from him in the long run. At best you will confuse him. Think of letting your dog outside as a training opportunity and be consistent in your expectations – every time! Make it fun for both of you! Dinner time is another great opportunity for practicing. Have your dog do a few things like sit, down, stay, or what ever else you have been working on and give him a little bit of his dinner in return. After a short training session, have him sit or down stay and then release him to the rest of his dinner. If you are training a more advanced behavior such as something you might want for performance in dog sports, you can practice the different components that make up that behavior around the house during the day. Have a plank set up to do a few contact iterations. Have a small trashcan or popup clothes hamper set up to send your dog around a time or two to work on tight turns or distance skills. Set up some weave poles in the backyard and send the dog through a couple of times. It doesn’t have to be a big production. Just something you do every now and then. If you consistently practice different skills you want your dog to learn throughout the day, he will learn them in no time. They will become a part of your lifestyle with your dog – it will be a “fun thing you do together”. And success will be yours! ← Why Are You Doing Agility? We are located in Hudson Oaks, TX - just 20 minutes west of downtown Fort Worth, TX. Contact us! Basic Obedience classes start every 6 weeks! Contact us for more info! 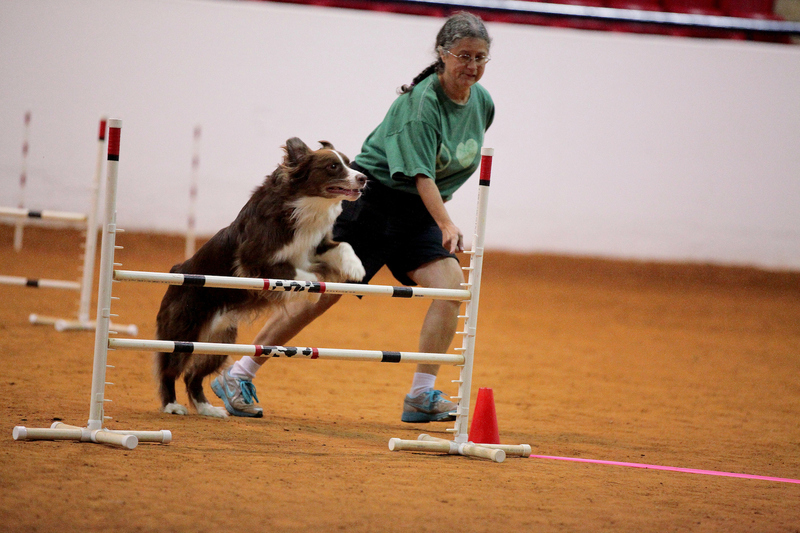 Please check the schedule for agility classes that are currently being held! Ongoing Upper Level Agility and Privates also available! Contact us for an evaluation to see where you fit into our program! Phone: 817-771-1111 Office Hours are from 8AM to 7PM Mon-Thurs. We are located in Hudson Oaks, TX - just west of Fort Worth where I20 and Hwy 180 split!